Squirrels jump from branch to branch with such precision and balance, that people consider it amazing. When they are in their natural environment, they look adorable. You would never think that such a small and adorable animal could cause so much havoc. If you are a bird lover, you must have experienced the naughtiness of these animals. They will eat all your bird feed, destroy your vegetables and get stuck in the bird’s cage. 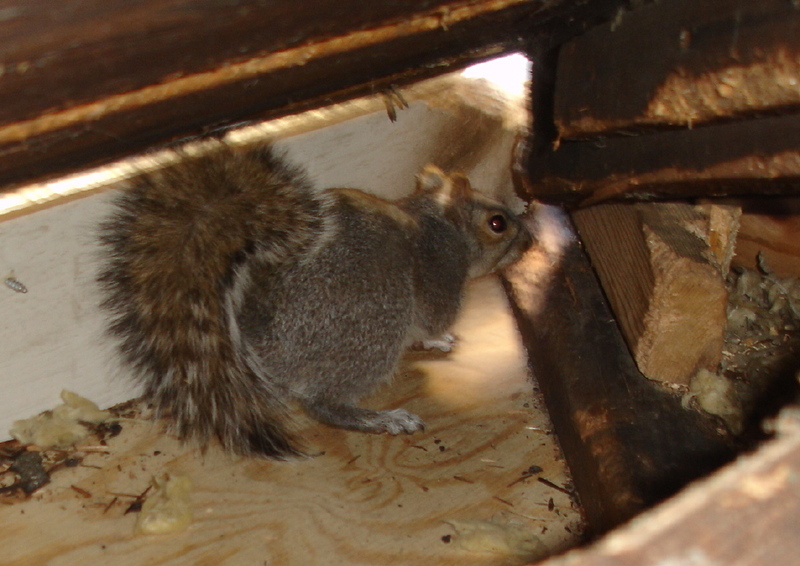 Many times, you might have asked yourself, how can I humanely remove squirrels from my house? Here are a few tips you could use to sort this problem: Remove anything that the squirrels can fed on- when the number of squirrels in your home continue to rise, it is because they find things to feed on. Grains, nuts and berries are loved by squirrels so ensure you store them properly. Buy squirrel proof bird feeders – squirrels are quiet crafty and eat the food that is meant for your birds before the birds have a chance to smell it. If the see it is a challenge to get the food, they will leave your house in peace. Trim branches near your house – as we all know squirrels love dancing around trees. They will use these branches to get in and out of your house. Trimming them cuts the connection that they use to get in. Ensure all entry points are secure and provide an escape route. – Squirrels love entering your house through the chimney windows and other small openings. Secure these areas by buying traps for them or sealing these openings. Once the animal is trapped, ensure that you have an escape tool for it. A squirrel will never return to a place that it was trapped. You can always call in a specialist to help you when the situation is serious.